As I mentioned last month on the blog, I’ve been investing some time into reconstructing the venerable Yavmir map that Matt and. I’m not much in the ways of “drawing things,” so a great deal of the work has been designing vectors that let me construct maps using Illustrator and Photoshop. It’s been a fun (big) little project, and I just finished a milestone by completing all the mountain ranges. 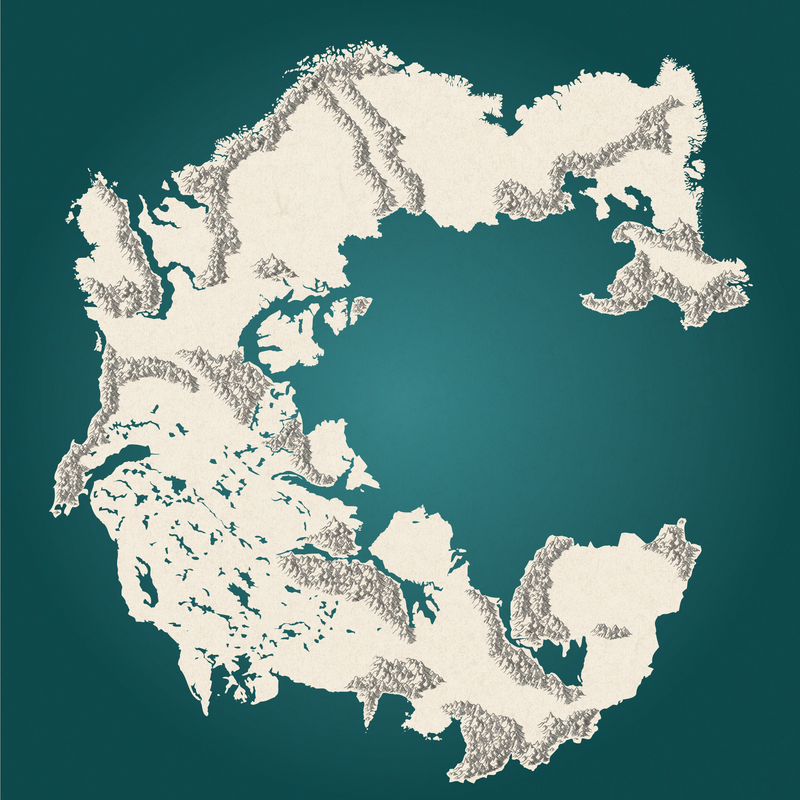 The map looks a little weird without rivers or trees, but I’ve very happy with how the basic shapes of the mountain ranges turned out. I’m going to work on refining some of the coastline next, then I’ll be putting together some forest and waterway vectors. It should be fun! On a semi-related note, I highly recommend that you all check out this Tumblr that focuses on great drawn maps through history. It is a great way to get inspired to work on your own mapping projects!